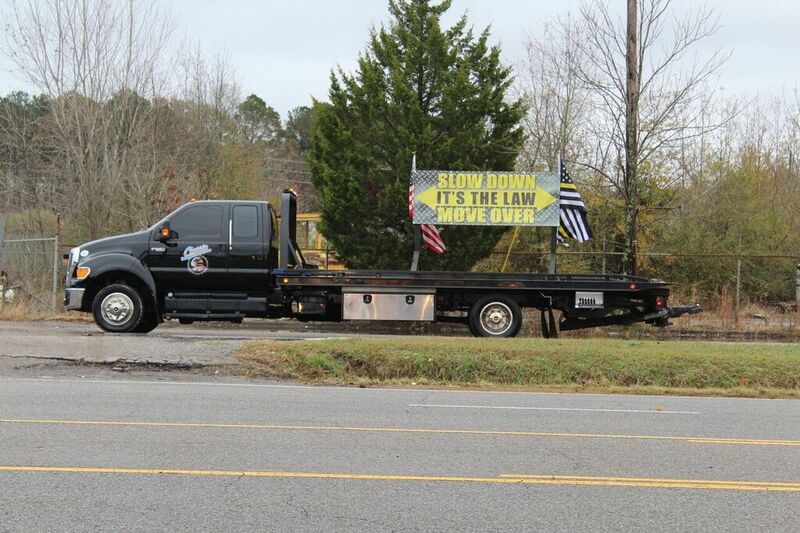 In the state of Alabama on December the 9th, towers across the state gathered at Garywood Assembly of God for the 2nd Annual “Slow Down, Move Over” Rally. Wes Passmore of Classic Towing & Recovery started the rally on the anniversary of the death of his driver and friend, John Hubbard. John Hubbard was struck on the side of the road while assisting a motorist December of 2016. Over 200 trucks were there at the rally to help spread the word. They led a procession from Hueytown, Alabama to Tuscaloosa, Alabama. First responders, police from Vestavia, Cordova, Bessemer, Jefferson County, and local Alabama State Troopers assisted in escorting the rally. We preach the “Slow Down, Move Over” laws in every issue of Tow Professional Magazine; however, we only reach the owners that already know the importance of the law. Several local media affiliates were on hand to help get the message out. We need towers across the country to reach out to the local news and radio stations. We must get this message to the general public and help them to understand that towers are first responders. The towers are someone’s son, father, husband, daughter, wife, and mother that have loved ones at home that desperately need them to make it back. Help us spread the message!